Businesses that make large capital investments in Nebraska could carry over unused tax credits for a much longer period under a bill heard by the Revenue Committee Jan. 25. 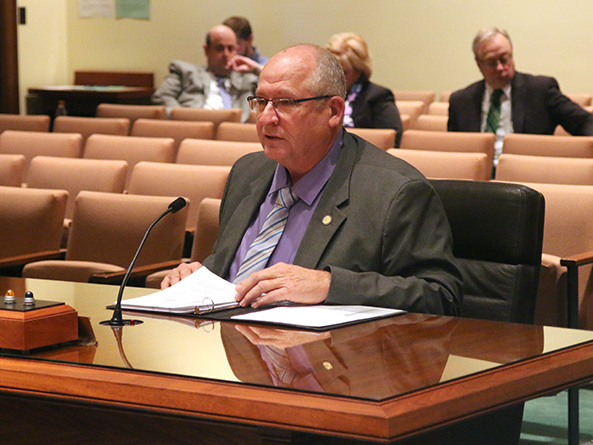 LB161, introduced by Sen. Curt Friesen of Henderson, would extend the income tax credit carryover period for companies that file a Tier 6 application under the Nebraska Advantage Act from one year to 20 years after the end of the entitlement period. The change would apply to all Tier 6 project applications filed before, on or after the bill’s effective date. The state Department of Revenue estimates that the bill would reduce state tax revenue by $1.8 million in fiscal year 2023-24 and by an additional $1.89 million in FY2024-25. The act, which provides tax incentives for businesses to relocate or expand in Nebraska, allows companies to carry over unused credits for a limited number of years depending on which of the act’s six tiers the project falls under. Tier 6 is meant to encourage companies to make significant capital investments and bring high-paying jobs to the state. To qualify for Tier 6 benefits, companies must invest $10 million and create 75 new jobs or invest $109 million and create 50 new jobs. Friesen said the current carry-over period of one year is too short for Tier 6 companies to use the credits they earn. In comparison, firms may carry forward credits for no more than nine years after application for a Tier 1 or Tier 3 project and for no more than 14 years after application for a Tier 2 or Tier 4 program. Extending the carry-over period for Tier 6 companies would attract a wider range of businesses to the state, Friesen said, helping to diversify Nebraska’s economy at a time when the agricultural sector is struggling. Kiewit, a large construction firm with headquarters in Omaha, is the only company to have qualified for Tier 6 benefits so far, Friesen said. Bruce Grewcock, chairman and CEO of Kiewit, spoke in support of the bill, saying that Nebraska Advantage Act credits helped Kiewit expand its operations in the state. Since 2012, he said, Kiewit has invested more than $400 million and hired 400 employees in Nebraska. Grewcock said the incentives were a major factor in the company’s decision to move its data center here and to open new shared services and training facilities. Kiewit’s ability to use the credits it earns under the act will help determine where it opens new facilities and hires new workers over the next few years, he said.